​Mindfulness Scotland is led by a group of like minded people who practice, teach and support a mindful approach to daily life. Dr Alistair Wilson, M.D. F.R.C. Psych. M.Sc. Alistair is a partially retired consultant psychiatrist and fellow of the Royal College of Psychiatry. 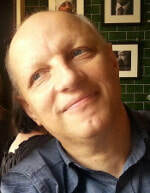 He has worked as a Consultant Community Psychiatrist within the National Health Service for almost thirty years. During this time, he completed his training in Cognitive Therapy at Oxford University and graduated with a MSc in Mindfulness Based Approaches with the University of Bangor in 2011. He has also trained in Trauma-Focused CBT, Sensory-Motor Psychotherapy and Eye Movement De-Sensitisation Rationale in order to deliver care for those experiencing symptoms of trauma. Since retiring from the NHS in 2014 he has been employed by Combat Stress, a charity providing support to UK veterans experiencing Post Traumatic Stress Disorder (PTSD). Alistair has a long history of delivering MBCT within mental health services in and around Glasgow. He has delivered mindfulness sessions to medical staff and workshops on Mindful Approaches to Trauma in London, Dublin and UMass. He is currently engaged in a series of research projects evaluating the feasibility of Mindfulness Based Approaches in a variety of settings including Oncology, Addiction and Trauma, and has recently trained to deliver the MBCT for Life course through the Oxford Mindfulness Centre. His robust personal practice has helped him navigate the ups and downs of life, including an ongoing journey through successful treatment for lymphoma. A clinical psychologist by training, Catherine has worked in the NHS for more than 25 years in the field of adult mental health. As an addiction specialist, she has spent the best part of her career working with those adversely affected by excessive alcohol and illicit drug use, complicated by severe mental health conditions, especially psychological trauma. She was first drawn to the practice of mindfulness through attending an MBSR programme in 2006. Inspired by the experience, she recognised how mindfulness practice could bring benefits to her home and work life as well as her clinical practice. Catherine’s understanding of mindfulness and observation of the positive impact it has on her day-to-day life has grown and been shaped by her experience of involvement in a community of practice and her efforts to establish the discipline of personal mindfulness practice. Since retiring from the NHS she has completed the Mindfulness Scotland Train to Teach course and currently delivers eight-week courses to NHS staff and patient groups. Catherine has been a trustee of Mindfulness Scotland since 2011. Karen qualified as a physiotherapist in 1987 and has since had a varied career combining clinical work, education, research and development. 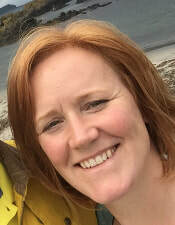 After completing a Postgraduate Diploma and then a Research Masters degree in Australia, she joined the teaching faculty at Glasgow Caledonian University and from there moved into Practice Development within the NHS. One of Karen’s particular interests is in developing a workplace culture where staff are supported to thrive and deliver their best care for the benefit of those we serve. Education and supporting people to learn has been a key aspect of her work for the past 20 years. 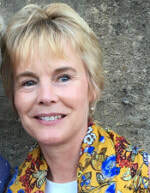 Karen first experienced mindfulness seven years ago and since then has developed a regular practice and joined Mindfulness Scotland as a trustee in 2013. She completed mindfulness teacher training through NHS Education for Scotland and then Mindfulness Scotland’s Train to Teach course in 2014. Karen supported the delivery of this course last year and teaches regularly both within the NHS and as a trustee of Mindfulness Scotland. Karen has completed MBSR advanced teacher training with Sara Silverton, through Bangor University, and has been trained to deliver MBCT for Life through the Oxford Mindfulness Centre. Karen is supervised by Dr Margaret Kerr and attends residential teacher led retreats on a yearly basis as well as regular peer led practice sessions. She is part of a vibrant teaching community within the NHS and Mindfulness Scotland. Through regular practice, Karen has developed a steadiness in the face difficulty and a sense of resilience. She feels privileged to be involved in mindfulness-based work, supporting people no matter what circumstances they find themselves in. Stephanie is a Specialist Physiotherapist in Long Term Condition and Pain Management working in the NHS. She is also a trained Yoga Teacher and a Mindfulness Teacher, listed on the UK Network of Mindfulness Teachers, having trained with Trish Bartley in 2007. Stephanie has attended many retreats on Holy Island, Samye Ling and with the Centre for Mindfulness Research and Practice (CMRP). 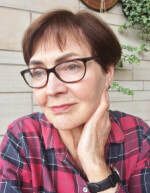 She has taught mindfulness to people with chronic pain, chronic fatigue and those coping with a diagnosis of cancer, as well as to NHS staff, and is supported through supervision with Margaret Kerr and Pam Erdmann. Stephanie attends regular peer led practice groups, retreat days, conferences and study days, as well as having an ongoing commitment to longer teacher led silent retreats. She has trained to deliver the MBCT for Life programme through Oxford University and recently completed the five-day Specialist Intensive MBSR training with CMRP. Stephanie’s regular formal and informal daily mindfulness practice has been profoundly supportive in her own life, enabling her to manage stress and anxiety, and manage a busy home and work life. Brenda Miller is now retired and formerly worked as a Senior Dietitian in the NHS. Linda is a Specialist Physiotherapist with a clinical background in Pain Management. She now works with the NHS Quality Improvement team within the Scottish Government. 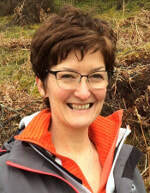 Linda trained as a mindfulness teacher with Mindfulness Scotland and helps provide eight week courses for NHS Staff as part of the Health Improvement Staff Wellbeing Project in NHS GGC.